Nick Hennies joins the Astral Spirits roster for 2015 and gives us his spellbinding follow-up to his equally enthralling 2014 album “Work” on Quakebasket. “Casts” was recorded at various locations in Austin, TX and Ithaca, NY over the past few years and consists of four tracks featuring sine waves paired with speech, vibraphone, hi-hat & voice. Hennies once again proves adept at creating refined and compelling sound-worlds through the use of repetition and simplicity. The constant of the electronic sine wave vibrates against the starkness of human speech, the insistence & momentum of the vibraphone, the rattling of the hi-hat and ultimately ends with the unapologetic beauty of “Song” a meeting of sine wave with voice. 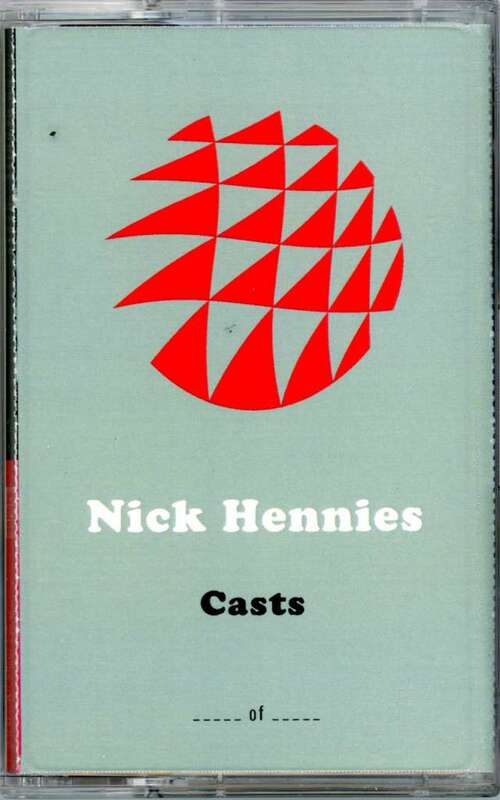 Throughout Casts you can hear echoes of Charlemagne Palestine, Steve Reich or Brian Eno but filtered through Hennies own growing and unique voice. Casts is out February 10th in an edition of 150 tapes w/digital download. Review by Dwight Pavlovic for DECODER MAGAZINE.